TERRE HAUTE, Ind. 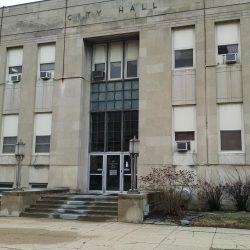 – At Thursday night’s Terre Haute City Council meeting the focus was on the new convention center and the proposed closing of 8th Street. Planners say if the section of 8th Street between Wabash and Cherry isn’t closed it would kill the project. Councilman Todd Nation raised questions about a recent traffic study, saying he was not convinced that the street needs to be closed. Some are saying that there hasn’t been much public discussion about this proposal. The item was tabled and will be placed on next month’s agenda and that meeting will be on February 7th. Councilman Nation said he plans to bring forth legislation to change 8th, 9th, and Cherry to two-way streets. Officials say that a public unveiling of the convention center next Tuesday.